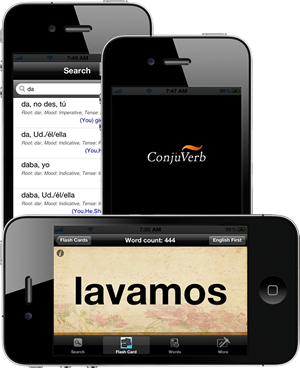 ConjuVerb allows you to quickly look up any Spanish verb in its fully conjugated form and see the English translation. Quickly scan the Spanish verb in all of its conjugated forms. It also includes a flash card mode for self testing.